Kristin Creative: Interview with Jennifer Hubbard - Author of The Secret Year! Interview with Jennifer Hubbard - Author of The Secret Year! 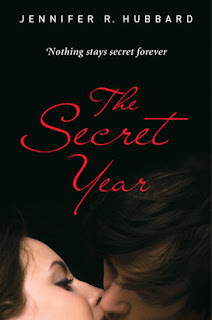 I recently had the opportunity to interview Jennifer Hubbard, author of The Secret Year! I've read it, and all I can tell you is that it's certainly one to put on your list for 2010. 1. Congratulations on the release of The Secret Year! How does it feel to actually see your labor of love published and in the hands of readers? Thank you! It is wonderful to have the book out there. At the same time, it’s a new experience to have my work discussed on the internet by people I’ve never met. I enjoy the email I’ve received from readers. 2. Did you write other novels before The Secret Year that didn’t survive the path to publishing? Absolutely. I think this true of most writers. Most of my early projects were not yet good enough to be published, and didn’t make it past a first or second draft. I learned to write a novel by practicing! 3. Your main character, Colt, is a sixteen/seventeen year old boy dealing with intense emotions that he has to keep to himself. Was it difficult to find his voice, especially writing outside of your own gender? No, his voice was there from the beginning, and I never considered writing from any other point of view. Having grown up with male friends, reading male writers, having a father and husband and stepson in my life, a male voice doesn’t seem foreign to me. When I look at my writing, about half of my first-person narrators are male and half are female. Honestly, I don’t even feel that the primary filter of my own life is one of gender; I feel like a person first. 4. What are your interests outside of writing? Do you ever feel guilty ignoring writing too long to do something else, or vice versa? I like walking and hiking; I make sure to do that every day. I like reading, traveling, music. No, there’s never enough time for everything I want to do, but I believe that’s true of most people. In a way, it’s a nice problem to have: there are so many things I’m interested in, that I want to do, the trouble is finding time for them all. 5. Many of us follow Nathan Bransford’s blog, and even participated in the contest he hosted to promote The Secret Year. What’s it like working with one of the blogging community’s favorite literary agents? Nathan’s blog is a great mix of practical advice and an entertaining style. Of course, blogging and building his client list are only one part of what he does as an agent, most of which is behind the scenes—the career planning, the negotiations, etc. I’ve been very happy with him, and I think we work together well. Thank you for your time, Jennifer. It was a pleasure! For more information, follow Jennifer on livejournal at writerjenn. Look for The Secret Year in your local bookstore, or purchase online. I LOVED your questions!!! GREAT GREAT job! What a great experience to sit down and talk shop with a so recently published author. I thought you did an outstanding job and I loved hearing Jennifer's answers. The Secret Year is on my to-read list -- thanks!! Great interview. I love it when successful writers talk about not having enough time to do all of the projects that they are interested in doing. It gives me hope as this seems to be a chronic problem for me. Writing, re-writing, and practice I just have to stick with it! The Secret Year is on my TBB (to be bought) list, for sure!! Yay for another hiking fan! Thanks for the interview!!! Great questions and I'm really intrigued by the hook of the book. Very cool! Adding that one to my "to read" list! AMAZING INTERVIEW! What an experience I am sure!!! I love to hear different views! Great interview! : ) I can't wait to read this book.